In 2018, our successful partnership with the San Francisco Public Library (SFPL) made big strides. For the third straight year, the Golden Gate National Parks Conservancy, the Presidio Trust, and the National Park Service joined forces with SFPL for Summer Stride. 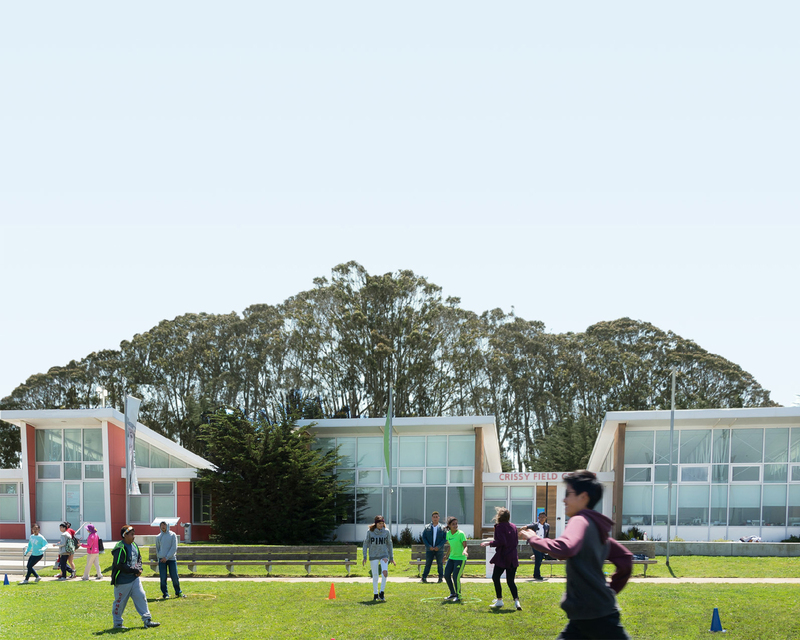 We sent park rangers to libraries, ran shuttles from libraries to the parks, and even hosted a special naturalization ceremony at Crissy Field to connect public lands to public institutions. The numbers show Summer Stride catching on: In 2018, the libraries saw a 24 percent increase in overall Summer Stride participation, and a 46 percent increase in ranger program participants. Among the highlights of Summer Stride are the shuttles taking people from library branches to the parks. One of the most popular was a trip from the Bayview Branch to Alcatraz, which saw 55 participants (many of them young people) take a tour of the cellhouse, gardens, and underground citadel. Also popular were trips from the Merced Branch to Crissy Field and the Mission Branch to Lands End. "The trips are not only educational, entertaining, and fun, they’re a respite from the daily grind of working and earning a living," said one shuttle rider. -In total, 33,188 people participated in the Summer Stride reading program. That's a 78 percent increase since the SFPL joined forces with the Conservancy and NPS three years ago. -1,009 people participated in park ranger programs. -Of the 433 people who rode in a library shuttle, 68 percent were first-time participants and 93 percent would recommend the shuttles to a friend. -The partners set up 10 library trailheads, including one at the San Francisco Museum of Modern Art’s Public Knowledge Library. -More than 20,000 visitors have read the “Her Right Foot” StoryWalk® at Crissy Field. Between Crissy Field and Mountain Lake, we have stretched books page-by-page over 5,280 feet of trails. -“Her Right Foot” author Dave Eggers and illustrator Shawn Harris spoke at a special naturalization ceremony for 32 young people. The new U.S. citizens also got a tour of the nearby StoryWalk®. Read more about the special day here. “The experience was exemplary and enjoyable. Kudos to all.” - Shuttle program participant. We’ll see you out at the parks and the libraries again in 2019!